How to Write a Rebuttal Essay. Papers usually have rebuttals. 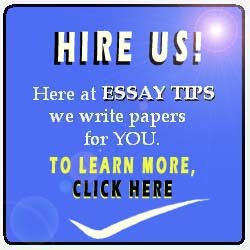 In writing an essay, you usually do not simply lay down your arguments. You also have to address the criticisms against your thesis. A statement that seeks to counter opposing claims against your arguments is called a rebuttal. A rebuttal generally attempts to weaken the counter-arguments by showing that they are unacceptable, insignificant, or even absurd. Here are some tips on how to write a rebuttal in your essay. By use of appeal to reason. A typical way of refuting an opposition to your argument is by showing the fallacies committed by the opposition. Logical fallacies are statements that are false by virtue of the principle of "non sequitur" or, literally, "it does not follow". For example, you may want to say that "just because X is true does not necessarily follow that Y is also true". A more concrete example is the statement "just because the ground is wet does not mean that it rained". By use of appeal to emotion. This method is typically used when you want to get the feelings of your reader to side with your argument. More commonly, it is done by getting the sympathy of your reader. A classic example is the use of pathos. By use of analogies or metaphors. An analogy is like a way of comparing two entirely different things. On the other hand, a metaphor is an expression that refers to something that it does not literally denote so as to suggest a similarity. In your rebuttal, you may compare the opposing to claim to something else in order to show why it is unacceptable or absurd. For example, if your thesis is that "euthanasia should be made legal" and if the opposing claim is that "many people actually believe that euthanasia is immoral, thus euthanasia should not be legalized", you may provide an analogy by stating that "many people also believe that the atom is the smallest particle in the universe, but certainly we know this to be absurd because beliefs are not objective facts, and beliefs have no place in an objective analysis". 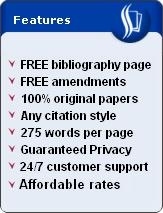 These are just some of the ways in writing a rebuttal in your essay. You should remember that the aim of a rebuttal is to overcome the challenges against your claim. It is important to anticipate what possible objections can be raised so that you will be prepared to write your rebuttal statements.